Do any of you grow veggies? I'm picking up a raised bed today, and i want to attempt to grow some veggies. Maybe like onions and cucumbers. Something that's easy. I would really like to grow melons, but i'm nt sure the planter i'm getting will be large enough. I know this largely depends on climate, but can any of you suggest stuff to grow that is relatively easy? So far, the only thing i've been able to keep alive is a succulent plant and geraniums, and those can be ignored for months and still survive. Green beans, basil, tomatoes, onions, various other herbs, and peppers all grew OK, despite that. But you do have to keep up on the watering. Yeah, that's my problem. When i put stuff out back, it's kind of out of sight out of mind. I might be able to put this planter on the patio, though, and if i over water, i'll know. Thyme grows like crazy. So does oregano. In fact, most herbs do. Basil requires frequent pruning or it gets woody. Anything squash-related (cucumbers, melons, etc.) needs a lot of space to crawl, and a lot of water. Tomatoes can be a little persnickety and require near constant tending, but once they establish they can get huge, especially if they're someplace that gets a lot of sun. Green beans grow real well where I live. I've found the climbing beans to be more tender than the bush variety. Pepper plants (poblano, jalapeño, serano, bell, etc.) all grow very easily, and with little tending. Lettuce needs to be picked every day, or you will get overwhelmed. Don't bother with asparagus, because it takes three years to establish. I've had less luck with broccoli, which tasted great, but didn't yield much, and celery, which requires a LOT of water. I've tried growing stuff, but it always dies. I keep meaning to do veggies. Have owned the house for 10 years now, but have really only gotten a bunch of flower beds and trees planted. it is a work in progress, as the property--at least the outdoor part was neglected for 10+ years. Lots of overgrowth and a number of unhealthy trees I had to take care of--plus lay down walkways, etc. I have a herb garden, which is fairly easy and simple--and does its own pest control. Rabbits and deer don't much care for the herbs at all. I'd like to set this up this spring, but I might nor have it set till summer, but at least it would be good for next year. My main obstacle / issue at the moment is there is some evidence of my leach field failing--which is a big sucky thing--and an expensive thing to remedy, but better take care of it sooner rather than later. Part of a septic system. Yeah, basically everything you flush or that goes down the drain goes out to a big septic tank that is buried beneath the ground. In that tank the solids should sink to the bottom, while the liquid (mostly water) will drain through pipes that are higher up, these pipes will be perforated and radiate out several feet from the tank and take that water to hopefully leach downward into the soil to ground water. On occasion these pipes may get clogged (I have every clay soil), or roots will obstruct it, so the liquid finds it's way up and to the surface. So I got a soggy patch of VERY green rich grass, but a little whiff of Chanel number two. I haven't gotten an estimate yet, but it is bound to cost several thousand bucks. So, have you ever tried Indian Style planting? We let a friend plant a garden on out vacant lot a few years ago, and we talked about "Indian Style", where you plant squash, beans , and corn in the same hole. The beans climb the corn stalk as they both grow, and the squash covers the ground and stops the weeds. Gotcha. Don't have those here. Truck in some soil and plant the garden in it. Should grow REAL good. And snow peas are easy to grow...need cool weather. Get some chicken manure. That stuff will make any garden kick into overdrive. Tomatos in California tend to grow well. I'm less certain about how they do in the Sacramento weather, but in the east bay you plant them once and you get amazing tomatoes with very little work, and they tend to grow back on their own year after year (even once you wish they would stop). Strawberries too. The berries tend to be significantly smaller than the ones at the store, but great, and easy to grow. Again I'm not sure if hotter Sac weather will affect this. I've been tempted to sneak in some seeds and try to grow tomatoes and strawberries indoors here, because locally they are either rather expensive and not great quality (locally grown) or crazy expensive (imported). 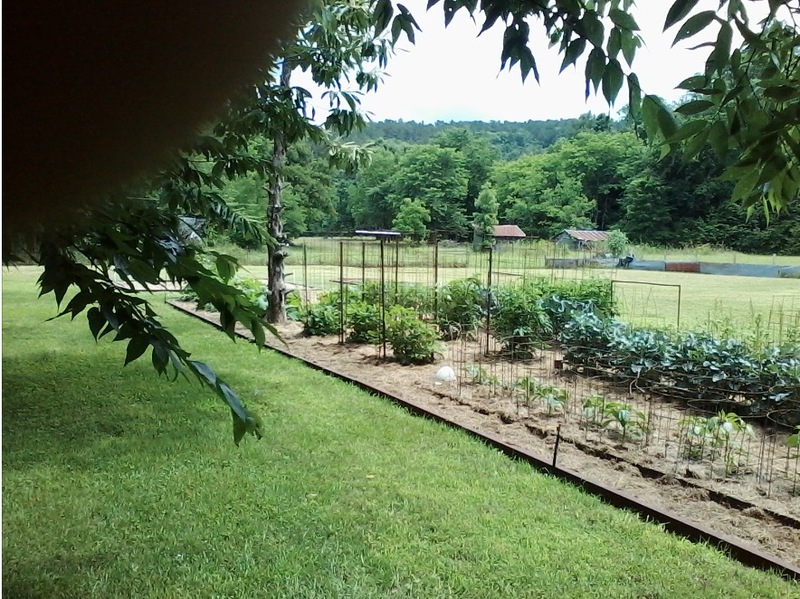 Have gardened seriously for almost 50 years. Nowadays I'm reduced down to a "kitchen garden" to eat fresh during the growing season and on good years freeze some for the winter. 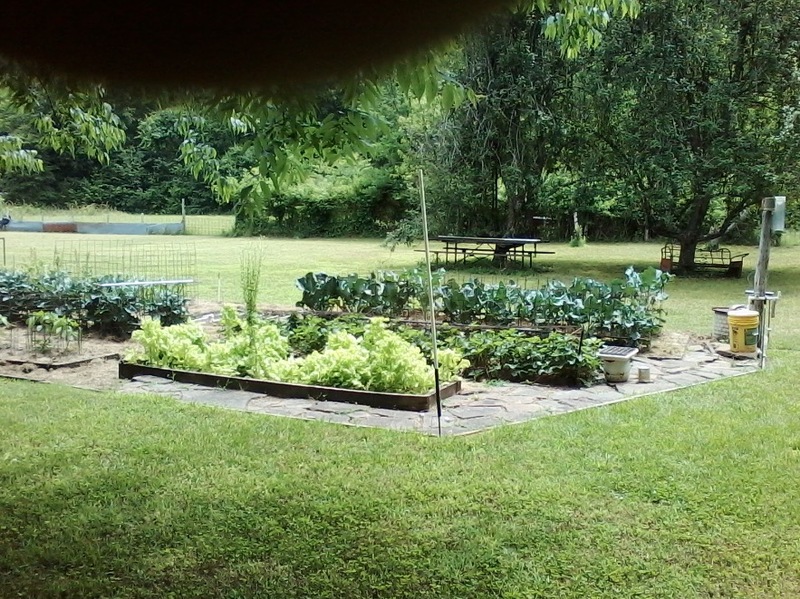 Front are peppers, more broccoli and sweet corn. The tall cages are tomatoes then zucchini and cucumbers. Do some succession crops; the corn has followed spinach. Grow everything true organic, under very deep mulch and drip irrigation. Damn. I just joined a CSA instead. Macaddict4life: i want to grow something i'll use, and i don't like tomatoes, except maybe for pico, but watching family members grow tomatoes, it's more trouble than i want. As for strawberries? I don't even buy them, so i don't want to grow them.